A bipartisan coalition of 35 attorneys general signed a formal request today for the Federal Communications Commission to do something about all the damn spoofing robocalls that have driven us all to basically stop answering our phones ever. Seriously, I just got a spam call as I was writing this. Last November, the FCC created the 2017 Call Blocking Order, which is supposed to provide phone companies a means of weeding out and blocking robocalls. But a group of concerned attorneys general have observed that the robocall issue is getting worse, despite the order. In 2017, the Federal Trade Commission received 4.5 million complaints about robocalls. 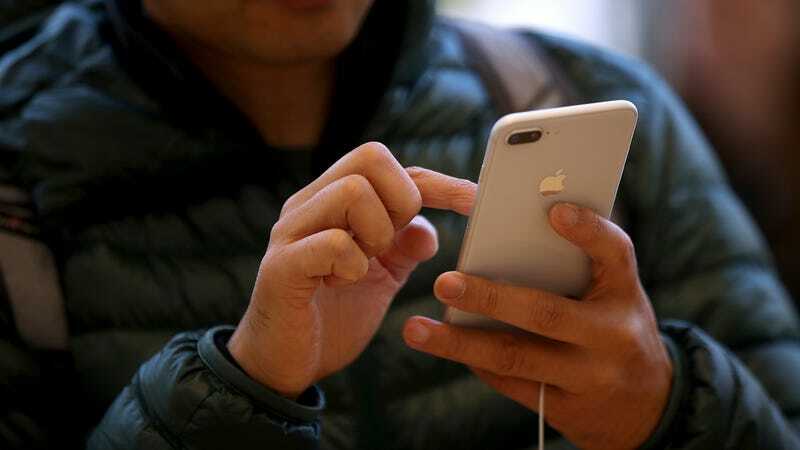 The formal comment released today states that reports reflect there were an estimated 30.5 billion illegal robocalls made to cellphones and landlines last year. The formal comment shakes its fist at scammers and spammers that have plagued the nation’s phones with robocalls—especially calls from spoof numbers that make it seem like the calls are coming from a nearby area code. The document calls upon the FCC to create new rules that would let telephone service providers block these types of “neighbor spoofing” calls. Specifically, the coalition is telling the FCC they want to build on the 2017 Call Blocking Order, allowing service providers to “use new technology to detect and block illegal spoofed calls” even if they’re coming from numbers that seem legitimate, according to the New York Attorney General’s press release. Regardless of how much this effort helps, I’m still going to Google search every new number that calls me instead of answering it.